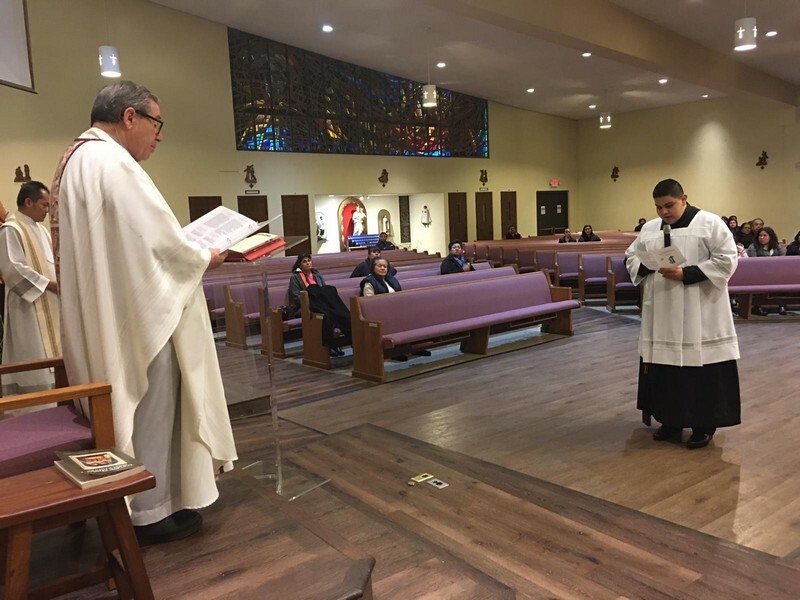 Delegate Superior of Our Lady of Guadalupe Delegation, Fr. 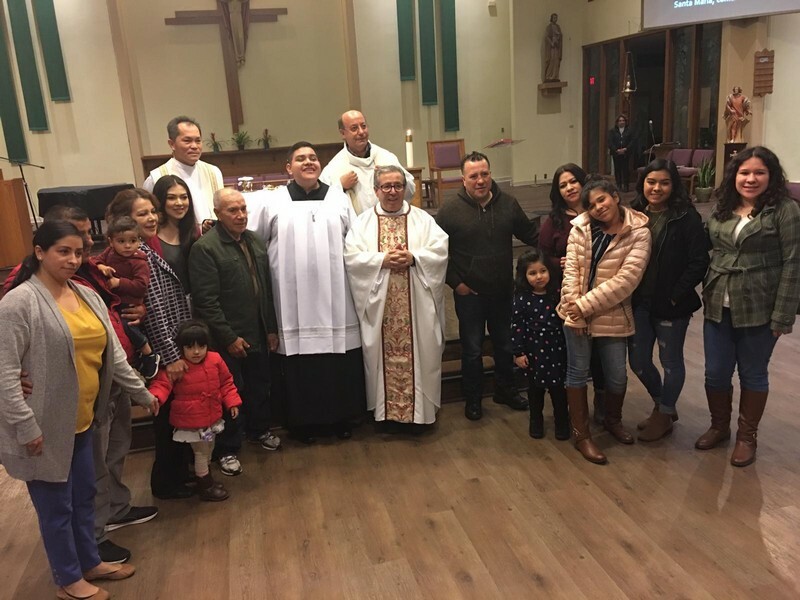 Antonio Fiorenza, RCJ, presided at the Mass in celebration of the Most Holy Name of Jesus at St. Jane Frances De Chantal Church in North Hollywood, California. Fr. Antonio Carlucci, pastor, and Fr. 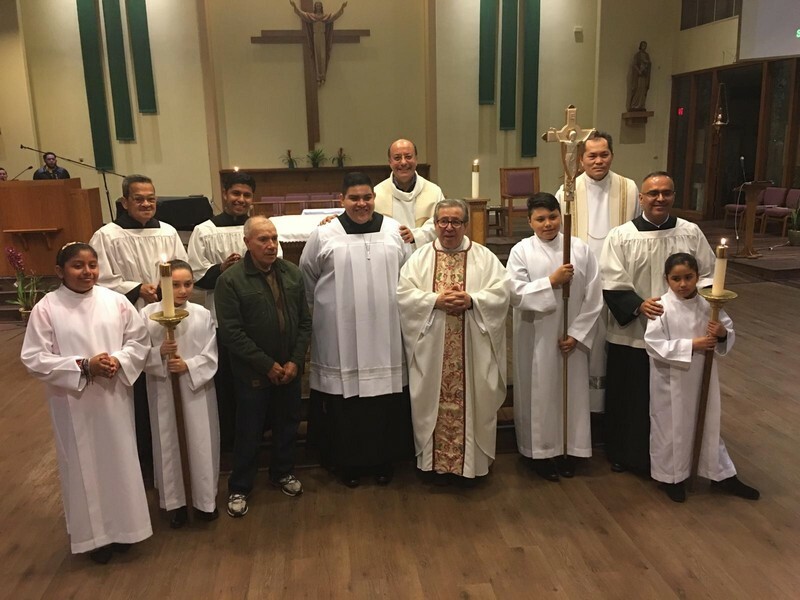 Peter Quinto, associate pastor, concelebrated during the Mass in which seminarian Adan Perez Herrera was received into the Postulancy. 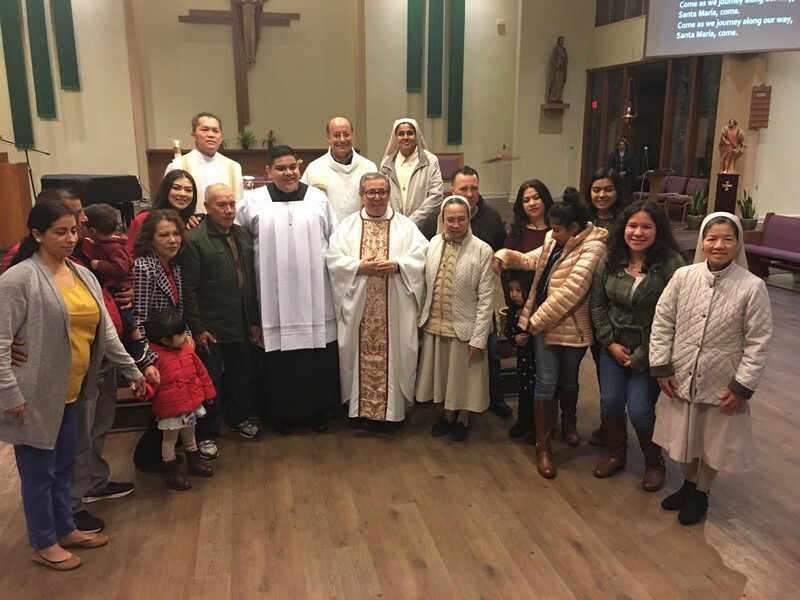 The Daughters of Divine Zeal of Van Nuys and seminarian Adan's family in California, including his father, were also present at the Mass. A simple reception concluded the celebration at the De Chantal Hall. Later in the evening Fr. 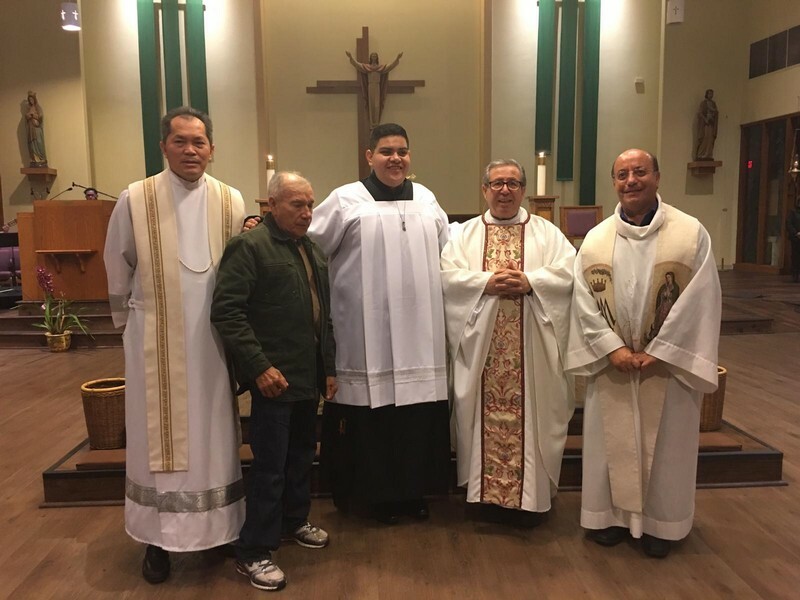 Fiorenza left for Mexico to receive into the Postulancy seminarians Armando Nicolas Lazaro Manzo and Juan Reyes Cruz on Saturday, February 2, 2019, at our Rogationist House of Formation in Tonala, in the Archdiocese of Guadalajara. 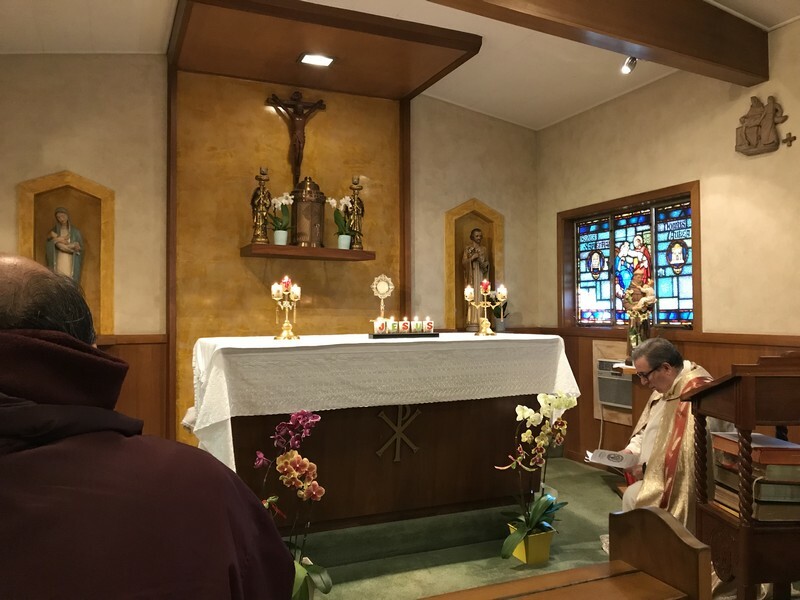 May the Lord of the Harvest, through the intercession of our Father Founder, St. Hannibal, our patrons, St Joseph and St. Anthony of Padua, give our new postulants all the graces they need in order to persevere in their vocations. May our Lady of Guadalupe, patroness of the USA-Mexico delegation, watch over them with her motherly care and love.